Ribbons have always been a way to recognize excellence. 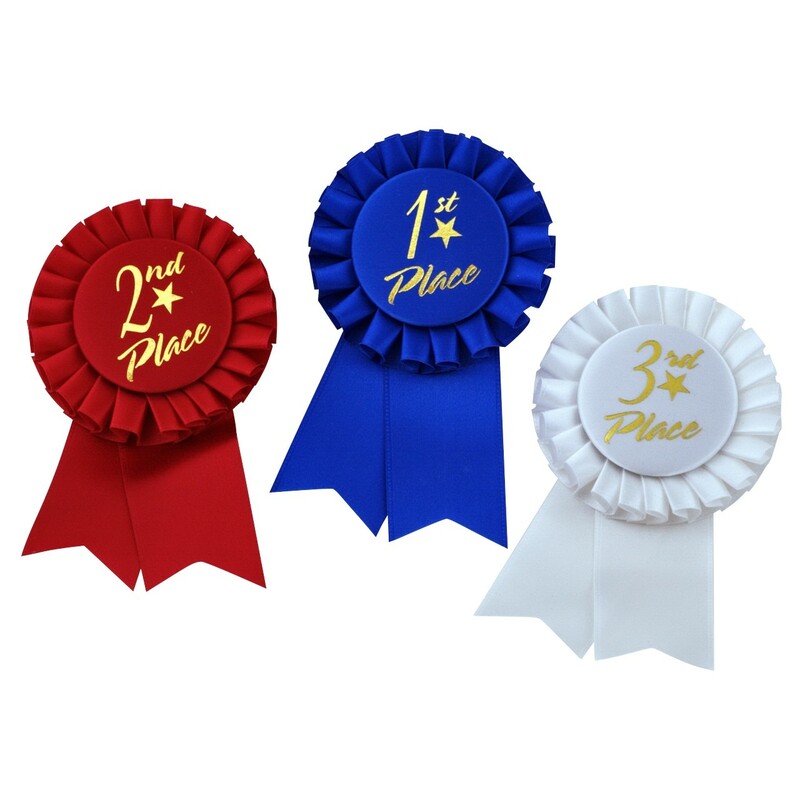 With our awesome Mini Rosette Ribbon Set you get all you need for your next event! These mini ribbons feature a 3 1/2" inch rosette and gold embossed lettering. Your First (blue), Second (Red), and Third (white) place ribbons will be a big hit at any event! Available with a string attachment or pin back, these awesome ribbons also make great badges!